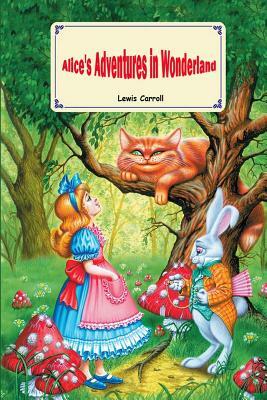 Journey with Alice down the rabbit hole into a world of wonder where oddities, logic and wordplay rule supreme. Encounter characters like the grinning Cheshire Cat who can vanish into thin air, the cryptic Mad Hatter who speaks in riddles and the harrowing Queen of Hearts obsessed with the phrase "Off with their heads " This is a land where rules have no boundaries, eating mushrooms will make you grow or shrink, croquet is played with flamingos and hedgehogs, and exorbitant trials are held for the theft of tarts. Amidst these absurdities, Alice will have to find her own way home. Alice's Adventures in Wonderland began as a story told to three little girls in a rowboat, near Oxford. Ten year old Alice Liddell asked to have the story written down and two years later it was published with immediate success. Carroll's unique play on logic has undoubtedly led to its lasting appeal to adults. Includes unique illustrations.